One of the most neglected and ignored of all photography accessories is the camera bag! It seems like most photographers—even some of the professional ones—just don’t care about keeping their cameras in great condition and preserving them for years to come. Most people just grab and carry their cameras in their hands, slung around their shoulders, you name it, but that’s not conducive to extending their life and performance. 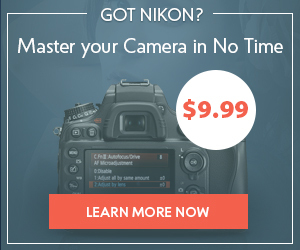 Then, there’s also the issue of photography equipment, as we all know. 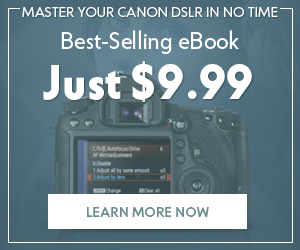 This can include everything from lenses and filters to film, if you still haven’t graduated to digital cameras, that is. With all the money you’re spending for your camera and its various accessories, it just makes prudent sense to try to preserve all of this precious stuff for as long as possible. Camera bags are just the ticket! So…what’s in your camera bag? Photo by smarthair. 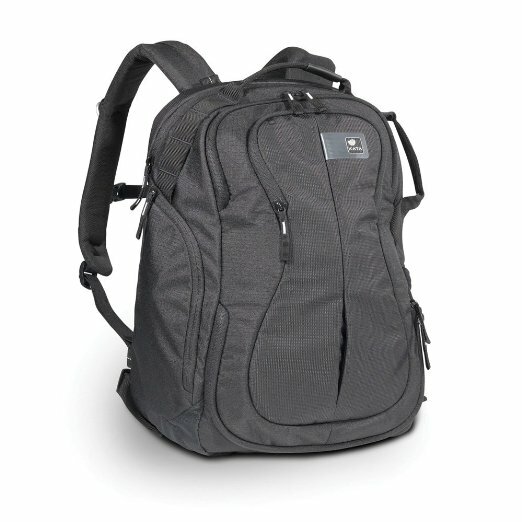 Here, we present the absolute best and latest camera bags of 2013. So go ahead: Stuff your kit in them, and keep them safe once and for all. Without a doubt, Tiffen’s Domke camera bag is the most dependable of all bags, so to speak. 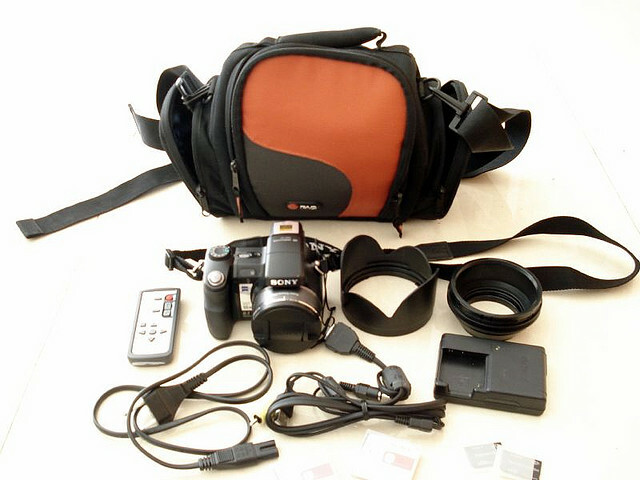 Both a versatile and comfortable bag, it can be used in a variety of ways by the photographer who needs to be well-organized when going to a shoot. You can easily utilize it as a simple shoulder bag, handheld case or even a belt bag. 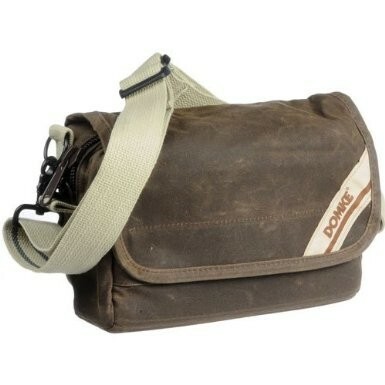 This is the Domke F-5XB Shoulder and Belt Ruggedwear Bag. Photo by Amazon.com. 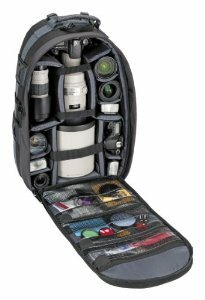 It comes with five compartments as well as pockets that can easily accommodate your SLR camera in the snuggest way possible. There’s still enough room in there to fit a few of your best lenses, films (assuming you still use film) and, of course, filters. 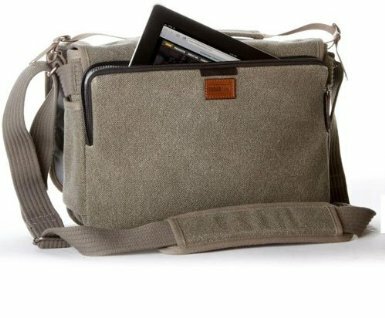 This camera bag that looks like the quintessential messenger bag has more than enough space for your basic DSLR that has a lens attached to it and another sitting next to it. If you think that’s already generous, then consider this: You’ll still have plenty of room inside this bag to fit in your flash as well as additional accessories! If you’re a sucker for unique features, then listen up: This camera bag features “sound silencers.” Cool, mysterious-sounding alliteration aside for a second, these have a highly practical benefit, too. These are panels situated beneath the main flap that can be used to get rid of the touch fasteners’ ripping sounds as you gain access to the interior. This makes the Think Tank a perfect companion when shooting in a silent venue. Through Crumpler is a brand name that is highly popular with those in the cycle world, it has also expanded its products into the camera-bag market. The calling card of Crumpler is the provision of urban designs that are both minimalistic and sharp. 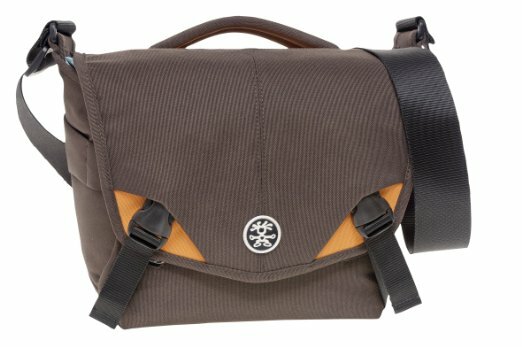 This is the Crumpler 5 Million Dollar Home Photo Bag- Brown/Orange. Photo by Amazon.com. This specific model offers a water-resistant shell and a “ripstop” lining, giving you peace of mind that your entire kit is dry and safely protected. The beauty with any Crumpler camera bag is that it lets photographers customize their entire kit setup. You can accommodate a bunch of different lenses, memory cards, cables, lens caps and so much more. The Jill-E line of camera bags was designed specifically for female photographers by female photographers. Therefore, this camera bag looks something like a purse, which is so predictable that you could have knocked me over with a feather! 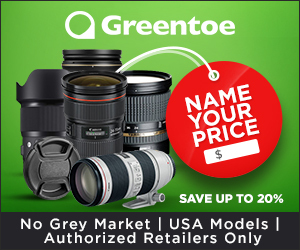 Special considerations aside, this specific item can carry two lenses, flashes, cameras and a complete lineup of photography gadgets and accessories. Ooooooooooo, girl! This is the Jill-E Medium Suede Camera Bag. Photo by Amazon.com. Clearly, it’s a bag that’s also very practical in addition to being designed exclusively for female tastes. It gets additional style points for being made of leather. Because it was designed for female, more fashionable sensibilities, though, it doesn’t broadcast that you’re a photographer when you’re lugging this around. However, the downside to this is that it may be an attractive target for thieves since it looks like…a purse! Have at it, girls. A smaller camera bag for harsher weather conditions and more intense travelling, the Aquapac is great for photographers who want to take their cameras with them in even the most inclement weather conditions. To be perfectly honest, it’s really more like a padded and waterproof camera pouch instead of a true camera bag, but what it lacks in size, it more than makes up for in keeping your camera dry! 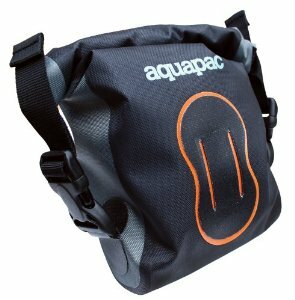 This is the Aquapac Small Stormproof Camera Pouch. Photo by Amazon.com. It has an adjustable belt, and you wear it around your waist—like an adventurer! 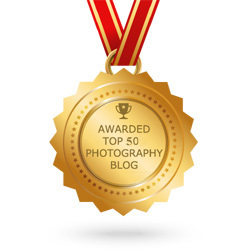 It is therefore ideal for camping, muddy festivals and any adventure sports that you want to take pictures of. 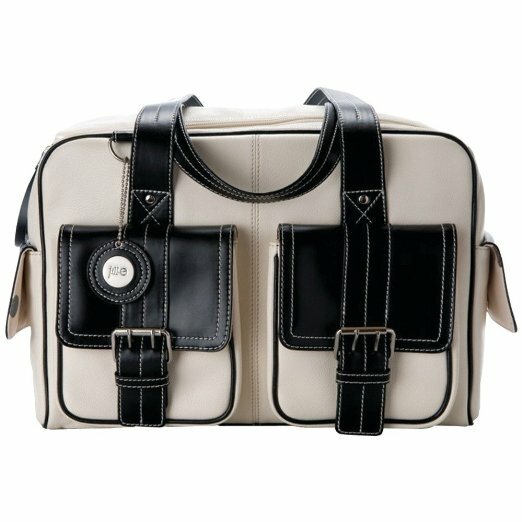 This is a really cool bag since it embodies the values of innovation and thoughtfulness in its design, which all photographers will be able to easily appreciate. For one thing, this bag features vividly colored insides, so that you can more efficiently locate all of your gear inside of darker compartments. If you’re sick and tired of experiencing back pain thanks to poorly made bags, fret no more: This model possesses an adjustable sternum strap for long trips. It also comes with something called a TST Rib. This Rib will shield your kit from shocks and bumps. That’s not all: Thanks to its mobile dividers, it provides photographers with side, top and front access to your equipment. Now, you can efficiently fish out what you need when you need it! For the photographer with a purpose in mind, the Tamrac Expedition 9x is truly large and well-planned enough to hold each item in your camera kit that you can imagine. Have any doubts? Consider this: It is big enough to even comfortably hold a telephoto lens! 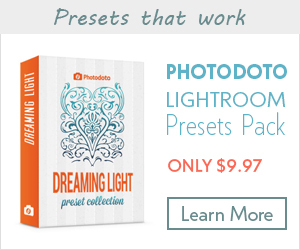 Of course, it can also more than accommodate all of your tinier pieces of gear. This is the Tamrac Expedition 9x. Photo by Amazon.com. This includes smaller lenses and lens caps, not to mention filters that can snugly fit into many of the bag’s well-thought out pouches. Still not convinced that this bag’s got it going on? It even comes with a fast-clip, tripod-connection system. Well, there you have it. 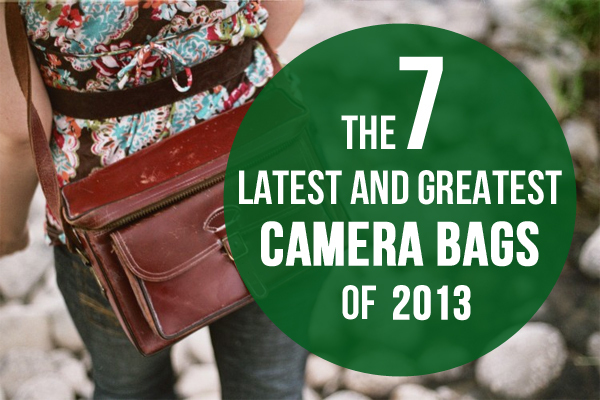 These are the absolute coolest, most practical and most in-demand camera bags for 2013. They will keep your camera kit safe, dry and perfectly snug and secure, so that you can have peace of mind as you travel from one photo shoot to the next or just take your kit on vacation with you! One thing needs to be pointed out, too: The price range of these bags is really all over the place since some of them are a lot bigger than others, and they all come from makers of varying levels of prestige. So be sure to do some smart comparison shopping before settling on just any one of them. Remember: Match your needs to what bag you end up choosing. 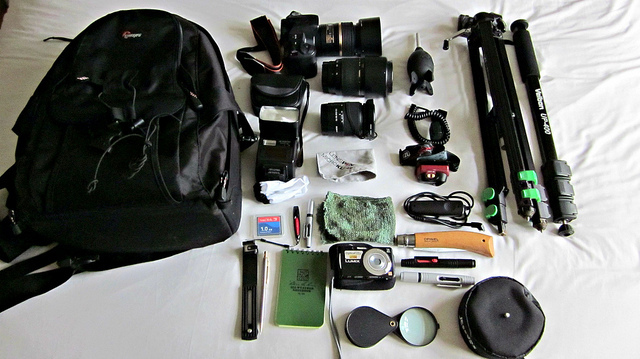 So much stuff to cram into your camera bag! Photo by Rituparna Choudhury. Now it’s your turn! What do you think about the choices on this list? Are you a fan of camera bags, or do you just let your camera get abused as you carry it around in your hands from location to location? Tell us all about it either way in the comments section!